Custom printed, #10 business sized, white envelopes, printed with black ink on 1 side of the envelope. 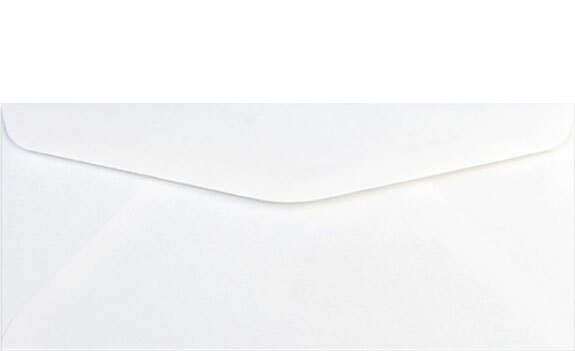 Envelopes measure 4 1/8 inches x 9 1/2 inches, closed, and have an easy open flap. Pricing includes printing, white envelopes per thousand (EX: Ordering a quantity of 1 = 1000 envelopes, 2 = 2000 envelopes, etc.) and basic setup from properly supplied files. Perfect for mailings on your Letterhead. Additional envelope and ink color options are available. See Additional Options below. Minimum order of 1000. 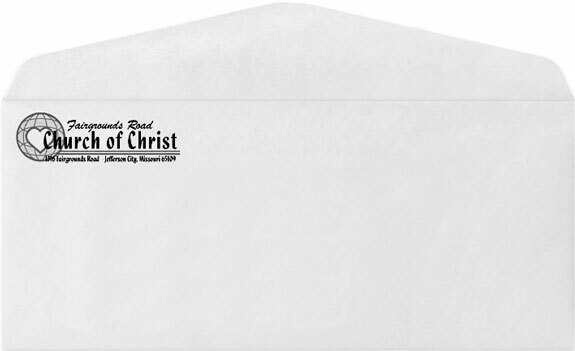 Standard Window Envelopes are available for an additional $6.00 per 1000 envelopes. Colored envelopes are available, please call Customer Service at 1-800-322-6203 for a quote.